All participants must have the program liability waiver and medical release forms signed and dated prior to participating in the program. Guests under the age of 18 must be accompanied by a participating adult. The program liability waiver and medical release forms must be signed and dated by their parent or court appointed legal guardian. Local or warm water Certification Check-out options. *maximum 8 students minimum 4 students. Journey with Gentle Giants is the only opportunity in the world where you are guaranteed to SCUBA dive with the largest fish in the world, the whale shark, in Georgia Aquarium’s Ocean Voyager exhibit. 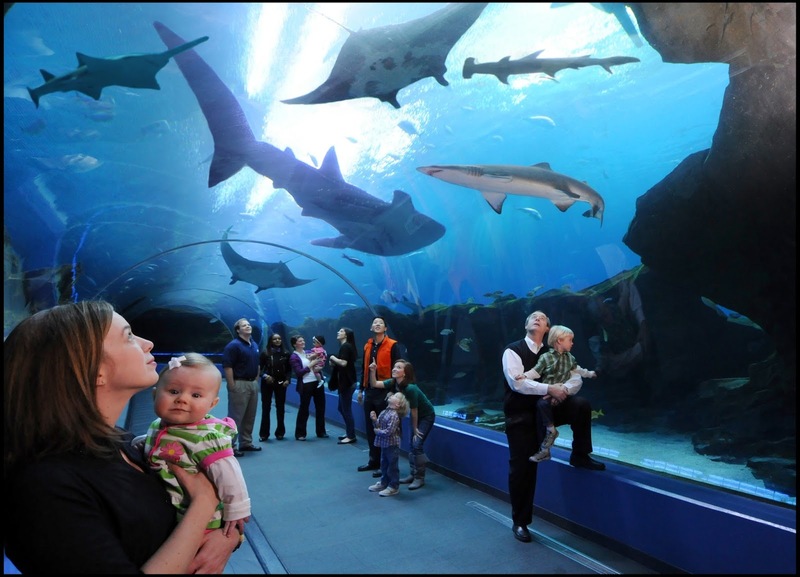 This 6.3 million gallon exhibit houses thousands of fish including zebra sharks, sawfish and more! All participants must be age 12 and older. 11:00 am** or 3:00 pm sessions maximum 8 divers. Guests under the age of 18 must be accompanied by a participating adult in the water. Proof of Open Water SCUBA certification from a nationally or internationally recognized organization must be provided, along with photo identification. All participants must have the program liability waiver and animal interactive program guidelines signed and dated prior to participating in the program. Guests under the age of 18 must have the program liability waiver and animal interactive program guidelines signed and dated by their parent or court appointed legal guardian.